The new dataFEED MindSphere Connector component of the Softing dataFEED OPC Suite allows the direct transfer of automation data for collection, analysis and further processing in MindSphere clouds. The Wi-SUN Alliance announces that global membership has grown with 50 new members joining in the past 12 months, taking total membership to 227. With PITmode fusion, Pilz now offers a modular operating mode selection and access permission system.It offers a high degree of flexibility foroperating mode selection and for the control of access permissions to plant and machinery. At Hannover Messe, European companies from the mechanical engineering, industrial automation and software industries signed a cooperation agreement for the Open Industry 4.0 Alliance. An intelligent plug-in connector is presented by Weidmüller. The smart plug-in connector integrates sensor and diagnostic functions, which makes additional sensors superfluous. 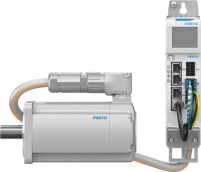 To increase the productivity of its customers through self-learning machines, Festo employs artificial intelligence on the edge, on premises and in the cloud. Avnu Alliance has released a new technical whitepaper titled "Avnu Alliance Business Impact Whitepaper on Time Sensitive Networking". 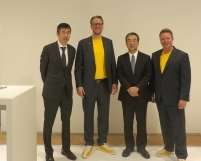 New standardised products and a connection technology system for Single Pair Ethernet (SPE) will be jointly developed by Hirose Electric and the Harting Technology Group. 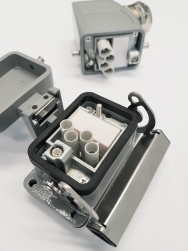 The Yamaichi Electronics Y-Circ M12 product portfolio has been expanded with a new field-mountable connector for 10 Gigabit Ethernet applications. 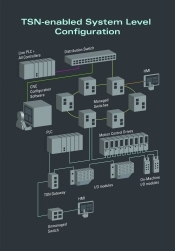 The CLPA presents its latest CC-Link IE TSN open industrial networking solution, designed to advance the integration of information technology and operational technology, one of the key requisites for Industry 4.0.